Microbats are natural insect terminators. These little mammals weigh around 3gms - 150 gms and have a wingspan of approx 25 cm. Being nocturnal creatures they use echolocation to navigate and find their insects in the dark. Contrary to popular myth, the bats are not blind and do use their sight as well. The largest species has a body length of only 11 cms. A single microbat can eat up to 1,200 mosquitoes and small insects in an hour which has earned them the well deserved reputation of being the nature's mosquito busters. They also pollinate native flowers, many of which can only be pollinated at night. Microbats like their bigger cousins the flying foxes (also called megabats) are a vital part of the ecology of our forests and planet. Recent surveys in Australia have shown that in grain-growing regions, the microbats fed solely on grain weevils, thus helping crop protection by reducing the use of pesticides. 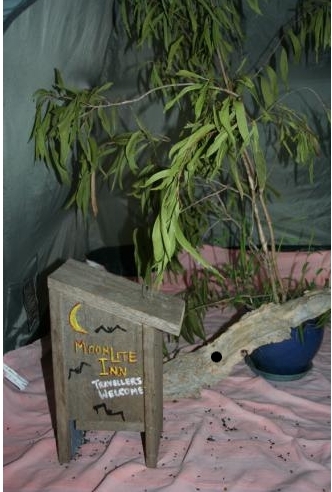 Microbats also eat midges, termites, lawn grub moths and other harmful insects. 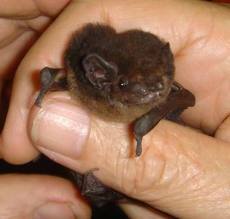 Bats are among the earliest mammals, experts dating them back to around 50 million years. Cave paintings in the Kimberley's dating back to the last Ice Age which was around 20 - 25,000 years ago feature bats as can be seen in the above image. Bats are the world's only flying mammal capable of sustained flight and are crucial to the survival of our forests. 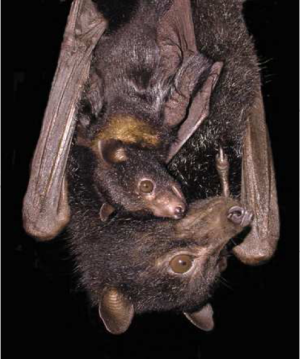 Flying foxes and Microbats are endangered species. Many babies die every year as their mothers die by falling victim to barbed wires, bird netting, electrocution, wind farms and terrible storms. A baby flying fox cannot survive without its mother because it cannot thermoregulate for 3-5 weeks, feed itself or fly until 12-15 weeks of age. Thanks to the collossal rescue efforts of the small but highly dedicated bat rescue groups like Bats Queensland and Long Grass Wildlife Refuge Centre many orphan bats and injured bats have been rescued and rehabilitated. To celebrate the international Year of the Bat - Winged Hearts.org has created a series of Bats In Care Posters. 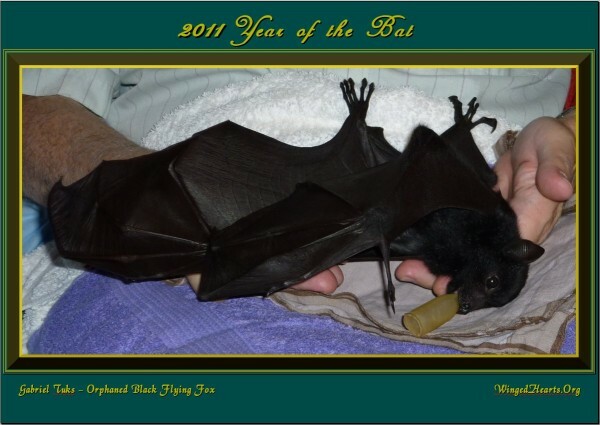 These posters feature our own Gabriel Tuks - an orphaned black flying fox whom we were privileged to care for in 2009. Tuki as we fondly call him was successfully rehabilitated in March 2010. You can preview and download the posters below (all free). Please feel free to share widely with your family and friends. 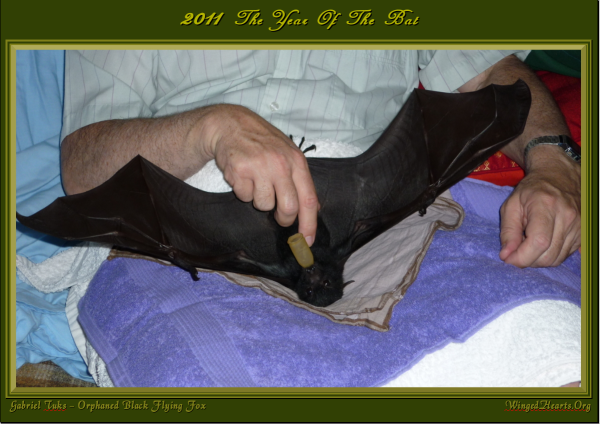 We will be issuing a Special Edition on Flying Foxes and Bats in a few weeks' time. All subscribers will receive a free copy. To get your free subscription, enter your name and details in the box on the left hand bar.